Four countries in four regions where Save the Children Norway is working have participated in a Thematic Evaluation on Childrenâ€™s Participation in armed conflict, post conflict and peace building – Bosnia-Herzegovina, Guatemala, Nepal and Uganda. 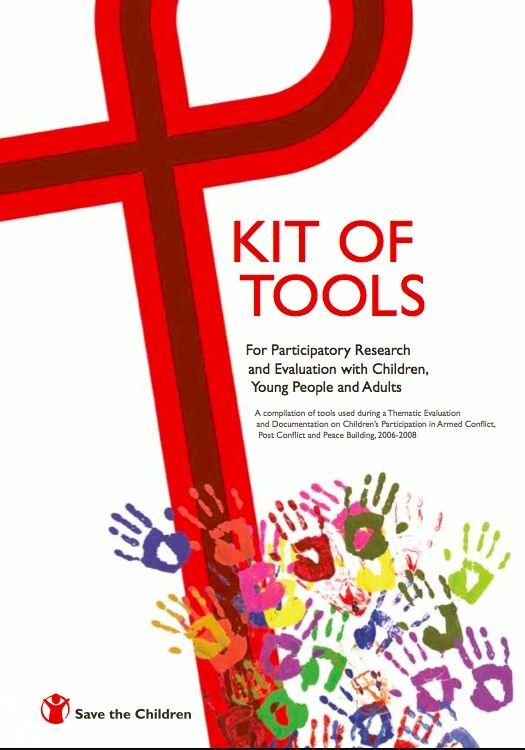 The research tools developed and used in this project are contained in this ‘kit’ which has been developed collaboratively by the global researchers and the four country teams. It has been enriched, adapted and expanded by contributions from the children, young people and adults. For each tool the objectives are explained, the time and materials needed, key steps to be taken and facilitators notes. There is also a section where users have made their comments on the usefulness, or otherwise, of the tool.